Beautiful countryside 5 minutes from the city. Our campground counts 29 sites and is located within 1 kilometer of public transportation which will take you to the Lévis-Québec ferry so that you may explore the Old Quebec in all it's splendor. The campground is 8 Km away from the ferry. You may even take your bike and ride along the bike trail "Parcours des Anses", which follows the St-Lawrence River. 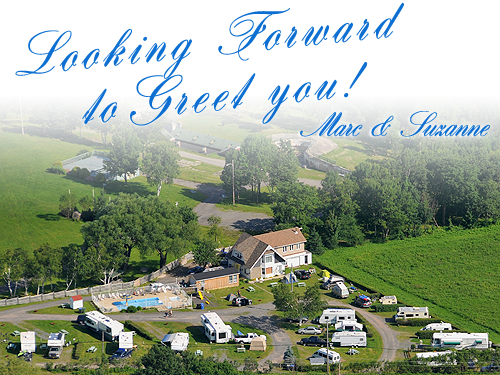 Established in 1972, the campground is the direct neigbour of the Fort de la Martinière, which is now a city park. Our campground is a little haven of tranquility which offers a magnificent view of the St-Lawrence River and the Île d'Orléan. Over 45 years with you... Thank you!